Developed at the New Jersey Ag Experiment Station, this is an attractive early mid-season yellow peento with 70-80% medium red color on a yellow background. 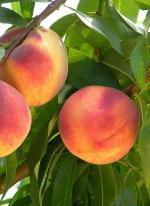 The fruit is firm and handles well with very little stem pull problem, associated with Saturn. 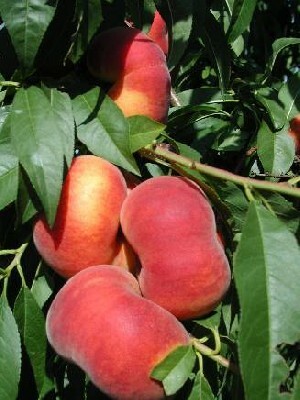 The tree is productive and resistant to bacterial spot.